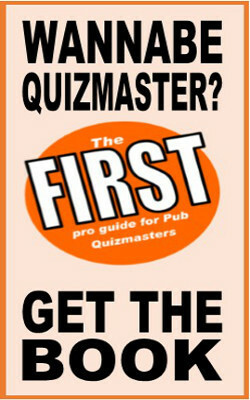 The Sun newspaper reports that a quizmaster on a small Scottish island has abandoned his weekly quiz gig after a row about a question. Angus McPhee ran the quiz at the Colonsay Hotel and asked: "What did Old Mother Hubbard keep in her cupboard?" One team answered "bones" but the quizmaster marked it wrong, claiming that the answer was "nothing". The team (who were heading for their seventh win in a row) lost the quiz by one point, became upset and subsequently ran a petition round the island asking local people what they thought the answer should be. When the quizmaster heard about this, he apparently took the huff and cancelled the quiz saying that if folk were that upset, they could run it themselves. Quizmaster (huffy) and quizgoers (petty) are both at fault here but it's a needless fandango; McPhee should have accepted their answer. His question was ambiguous: the poem makes it clear that Old Mother Hubbard must have normally kept bones in her cupboard but on this occasion, the cupboard was bare. The question fails to distinguish which temporal state the quizmaster was referring to It's a bad question and he should have had the grace to admit it on the spot. Full story in the Sun is here.